Today I want to talk about something that bothers a great deal of girls out there – and something that I have been pestered with probably for years now. Acne. I’ve only recently gotten rid of the majority of my acne as you guys know from medication, but every now and then I do have a few zits which pop up. To solve these guys, I have a solution that I have been liking and it is the Acne Clear Pimple treatment cream for a number of reasons. I was first introduced to Acne Clear when shopping around in Guardian probably a year ago. 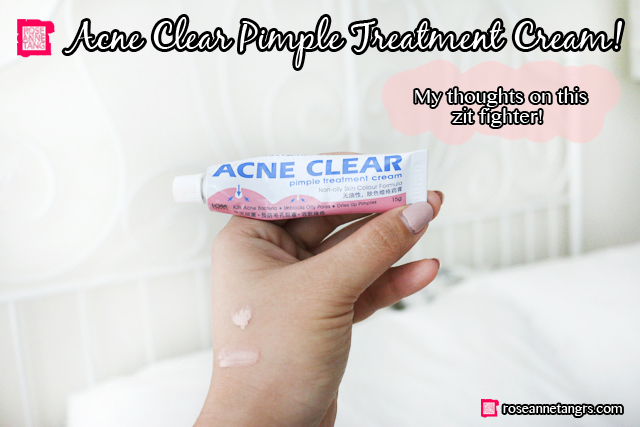 However, Acne Clear contacted me to review their products recently so I thought I’d do a little post on my thoughts on it. 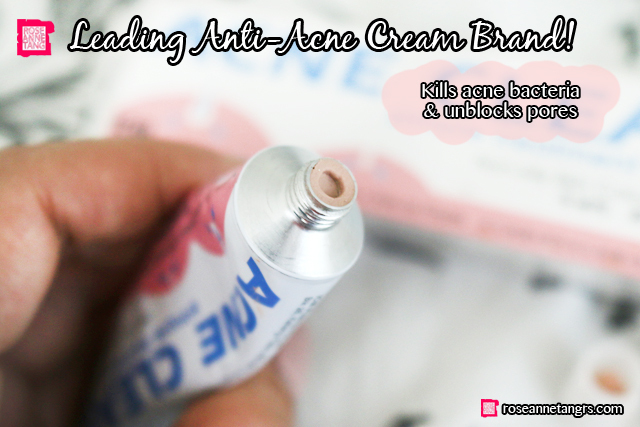 Acne Clear is actually the leading anti-acne cream brand in Singapore. In fact it is proudly manufactured in Singapore in a Health Sciences Authority approved Good Manufacturing Practice factory. 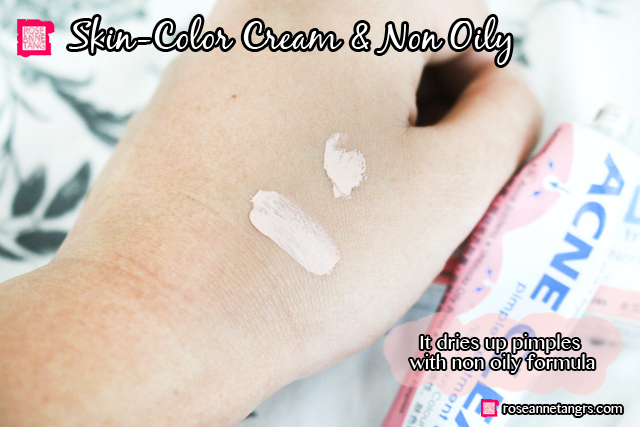 It clears pimples fast with a non-oily formula. It is also skin-colored which is great and kills acne bacteria while unblocking pores. It’s key action is how fast it can dry pimples up which is extremely useful. It is affordably priced and available at all Guardian, NTUC Fairprice, Unity and Watsons outlets! Do watch out for the in-store promotion in September (at Guardian, Unity and Watsons) if you’d like to try it out. So what are my thoughts on it? I really like it. I feel like with acne, there are two types – the smaller ones caused by dirt or too much oil – and the huge ones which are usually hormonal, uncontrollable and usually last for a very long time no matter what you do. I’ve tried Acne Clear on both. I did consider posting pictures up but yes, it’s zits and they’re not the prettiest things in the world so I decided I’m going to be shy about it. But believe me – for the smaller ones, I found that Acne Clear could get rid of and dry them up within two days if the head of the zit is peeking out already. I saw a considerable difference in the tightening of my zit overnight already and the head fell out basically on the 3rd day. There wasn’t any scarring after that and I found the clay like texture of the cream made that possible. Hormonal acne always lasts for a super long time and no matter what you do, there’s really little you can do about it. So I was very skeptical that Acne Clear could do anything about it however my acne did shrink after the first two nights. It wasn’t as swollen and bloated. It obviously took much longer than the other zit caused by dirt and oil to actually disappear, but I really found that Acne Clear contributed a huge deal in making it go away faster. If I were to pinpoint the thing I love about it most is probably the texture. Gel based acne creams don’t do much for me at all so I just love the texture of Acne Clear that can absorb oil and dry my zits fast. So I hope you liked this little review! If you have problems with acne and your current treatments have stopped working, this is for sure something to check out. For more information, go to http://www.icmpharma.com/product/acne-clear-cream! 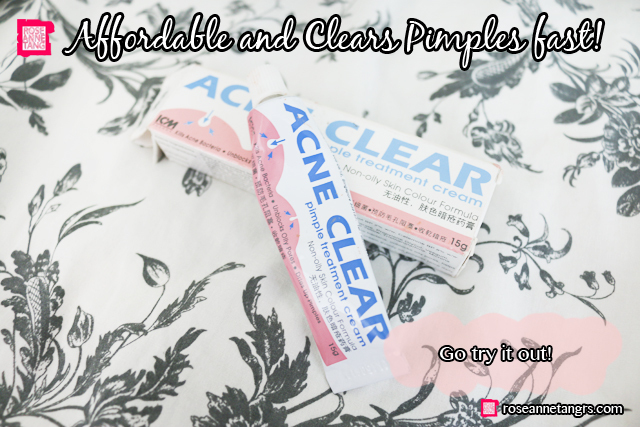 This blog post was kindly sponsored by Acne Clear.